Tyler Bertuzzi scored two goals, including the game-winner with 6:53 remaining, and the host Detroit Red Wings earned a 4-3 victory over the St. Louis Blues on Wednesday night. 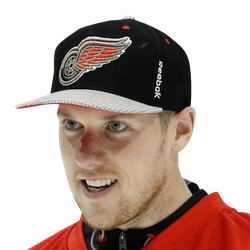 Thomas Vanek had a goal and an assist and Andreas Athanasiou also scored a goal for Detroit, which snapped a three-game losing streak. Mike Green added a pair of assists, and Jimmy Howard finished with 33 saves. David Perron scored two goals and Vladimir Tarasenko also scored for St. Louis, which lost in regulation for just the second time in the past 13 meetings against Detroit (7-2-4). 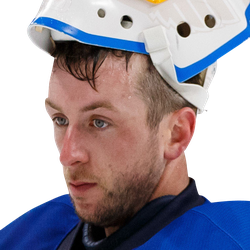 Jake Allen made 27 saves. The Blues took their fifth loss in their past six games overall. After a scoreless first period, the Red Wings scored three goals in a little over 6 1/2 minutes to take a 3-0 lead. Vanek started the surge by clanging in a Gustav Nyquist pass to the slot off the right post for his third goal of the season. Athanasiou followed with his 11th goal of the season, slapping in a pass by Green into the slot into a wide open left side of the net. After St. Louis' Ivan Barbashev and Joel Edmundson both rattled shots off the goal post in a 71-second span, Bertuzzi made it 3-0 when he batted in a mid-air rebound from the right side of the net after Allen turned away a shot by Luke Glendening. But St. Louis, which outshot the Red Wings 15-1 over the final nine minutes of the second period, got back into the game with power-play goals by Perron and Tarasenko just 99 seconds apart to close to within 3-2. The Blues missed an excellent chance to tie it at the 5:24 mark of the third period when Brayden Schenn's shot from the bottom of the right circle hit the bottom of the crossbar but came out. Perron, who went 13 games without a goal until scoring on Saturday vs. Winnipeg, tied it less than three minutes later with his second of the game and third over a six-period stretch. He circled around behind the net to knock in a rebound of a Robby Fabbri wrist shot. Bertuzzi then scored the winner, knocking in a rebound of a Michael Rasmussen shot into an open left side of the net for his eighth goal of the season. The Blues pulled Allen for an extra man with 1:51 remaining, and Howard stopped five shots to help the Red Wings to hold on.